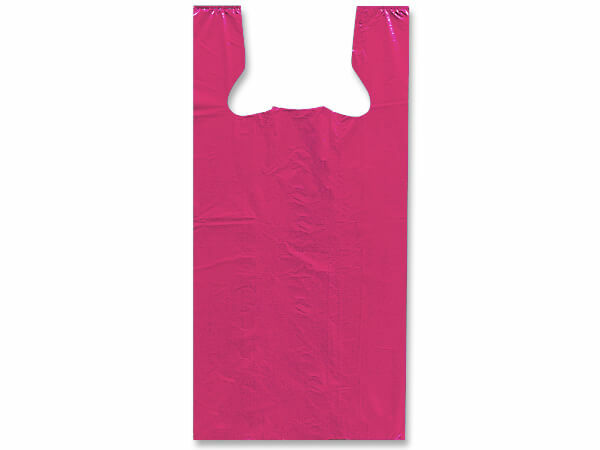 7 x 5 x 15" 11.5 x 6.5 x 21.5" 20 x 10 x 30"
Medium size Pink 50% Recycled Plastic T-Sacks by the carton. Made in USA. Green Way ® Eco-Friendly Packaging. Encore Recycled Plastic T Shirt Bags in solid colors. Bags are 100% recyclable and are made in the USA in a top rated environmentally efficient facility from 50% - 100% recycled materials. A Green Way® Eco-Friendly Packaging product.